Bring the same techniques the U.S. Military uses to build the world’s most effective teams to your office and watch missions get accomplished better than ever before! 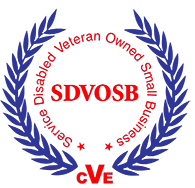 SWAM Certified Business, Service Disabled Veteran Owned Business. Get your office teams to be more cohesive, work better together, increase productivity, improve the work environment, and be more successful at work!